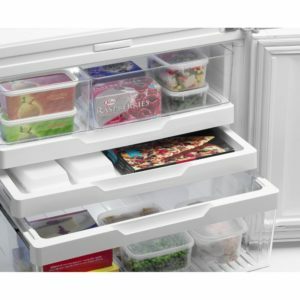 There’s plenty of reasons why you would want and need your freezer to be running at optimum efficiency. Having a freezer that doesn’t use energy effectively is not only bad news for the environment but also for your utility bills. It’s also very easy to forget that when you buy a new freezer, the price of the unit isn’t the only financial commitment you’re making but you’re also committing to how much it costs to run. First, you need to figure out how many watts the unit uses and multiply that by the number of hours the appliance is being used every day. Since a freezer is going to be on all day every day you will multiply by 24 hours. The next step is converting these watt-hours into kilowatt-hours. This is very easily done. You simply take the figure from the previous step and divide it by 1,000. The next calculation depends on the scale that you want to measure your energy usage over. If you want to know how much you use per month, you would multiply the previous figure by 30 days for example. If you wanted to know consumption over a week, you would multiply the figure by 7 for the 7 days of the week. The final step is taking the cost of your electricity and multiplying that by the most recent figure you have. Let’s take the average price of a kWh in the UK at the time of writing, which is about 12.5p per kWh. You take your previous figure and multiply it by the price. That is how you calculate the energy consumption of your freezer and any other electrical appliance that you use. HOWEVER, this will give an overinflated figure as this assumes that your freezer is actively working at full capacity at all times which of course, it won’t be. Once your freezer has reached the right temperature, it isn’t constantly working at full capacity to keep it at that temperature. So, if you were to take that £4.20 a week figure and multiply it by 52 to give you the cost of the whole year, your result would be £218.40. Your freezer won’t cost that much to run a year. The real figure is closer to between £45 to £60 a year for modern units. These calculations are still useful for freezers however as you can use it at the pre-purchase stage to compare between different units. Whilst it’s not what it will actually cost to run for a year, these figures are still relative to each other. Many manufacturers will already have an estimate of the wattage or kWh it will use in a year so do also look out for those before you break your calculator out, but if that information is not available to you this is a good way of conducting your own research. 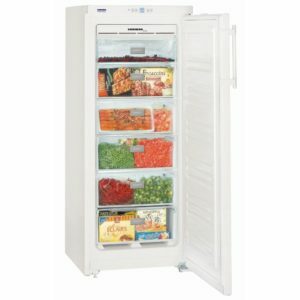 We carry a wide range of efficient freezers on our website, all from our refrigeration section. Shop our full range of freezers here and don’t miss our other refrigeration ranges including our fridges, fridge freezers and American-Style fridge freezers. We also carry wine coolers on our website as well as expansive cooking, extraction and laundry sections amongst our other lines. With appliances from top, market-leading brands from global businesses to local British manufacturers, we have it all on our website. Buy online today!